Reach 85000 points to complete the level. This level is not that hard if you play with good strategy and have 18 chocolates in board. 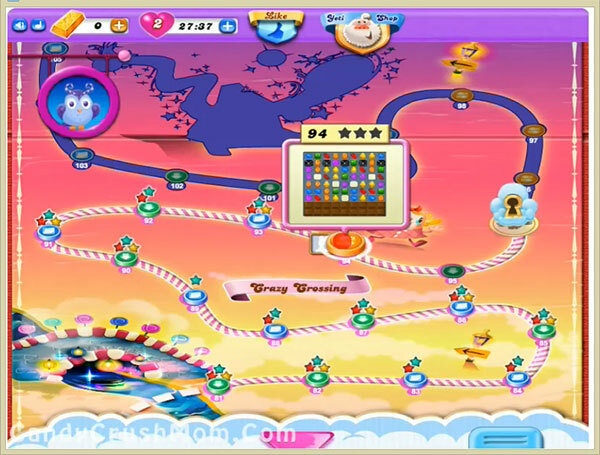 First you should try to break all chocolates by playing more from bottom and special candies. Then after again try to play more from bottom as it will shuffle candies in all part of board plus break candies automatically that will give some that you require for this level. We completed this level with 126400 score by using all moves luckily and got three colorbomb that help to reach requirement with three star score.